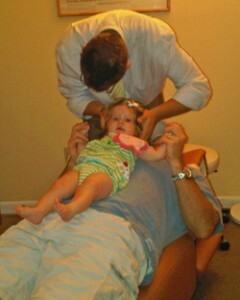 Dr. Smith treating one of his smallest patients. Spinal problems rarely get better on their own. Call our Palm Beach Gardens chiropractic office today to get started with chiropractic care!